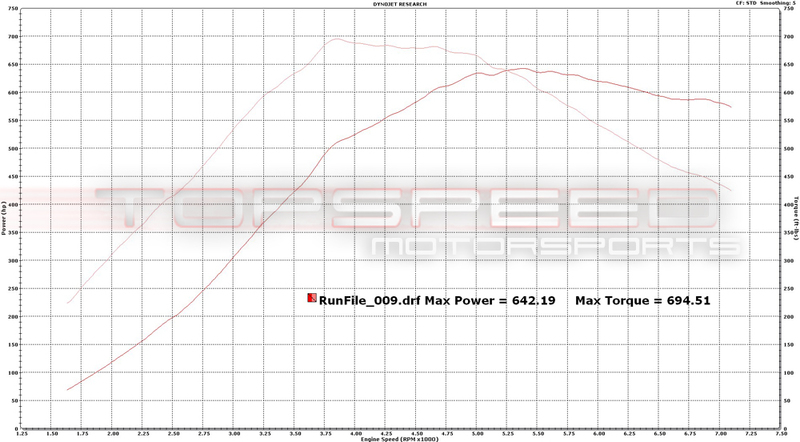 Home > turbo > How Much Power On Stock Nissan GTR Turbos? TopSpeed tried an experiment on a customers car, with a built engine, stock turbos, and E85. The car is going to be eventually getting upgraded turbos, but they wanted to see how far they could push the stock turbos. At 24 psi peak, and 19 psi by redline the car made huge power and torque. Nearly 700 ft-lbs of torque, 642 horsepower at the wheels. At that much boost, those little turbos are pushing a lot of hot air. They say they are running it at the drag strip soon. Looking forward to some results. The goal was pretty simple...MAX the stock turbos out on E85! The car will be getting bigger turbos in the very near future, but until then we decided to have a little fun.